Scuttling Doom Engine ($0.11) Price History from major stores - M15 - MTGPrice.com Values for Ebay, Amazon and hobby stores! 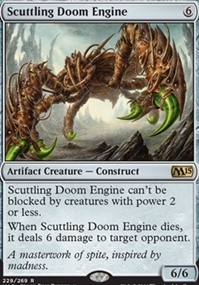 Card Text: Scuttling Doom Engine can't be blocked by creatures with power 2 or less. When Scuttling Doom Engine dies, it deals 6 damage to target opponent. 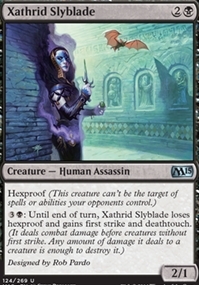 Flavor Text: A masterwork of spite, inspired by madness.